Pest Size: Mice measure between 65 to 90mm long. Multiplication Level: A single female can have up to 8 litters per year averaging 5-6 mice per litter. Mice are common in all parts of Canada. Dusky grey in colour, measuring 65 to 90mm long with large ears and long tails. The large amount of mice in Canada means controlling them is difficult without using a professional. Mice feces carry a harmful disease known as hantavirus that can cause you to get very sick. 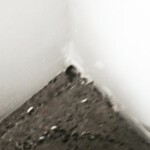 Mice can sneak in to your home in a hole as small of a 1/4 inch which does not make it easy to control. Anypest will do a thorough inspection of entire house and most importantly the attic. The Anypest technician will seal any holes or voids with wire mesh and spray foam to ensure your home is sealed. Simply removing the mice from your home won't be enough and we will also ensure they are not able to re-enter your home. The second part is to bait the entire interior of your home with bait boxes filled with poison blocks, the poison blocks are designed to mummify the mice so there is no odour. Mice can also climb up your exterior walls and get into your attic then gain entry to your home, we bait the attic with poison packets inside bait boxes. Anypest can also clean and disinfect mice feces with Eco friendly sanitizer. 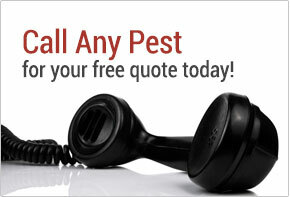 Contact us now if you want to remove mice for good. Are mice hazardous to humans? Yes. Mice contaminate food with their droppings and urine. 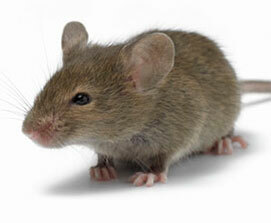 Mice carry diseases such as salmonella bacteria (food poisoning), leptospirea (jaundice) and typhus. Mice commonly carry parasites such as fleas, roundworms and mites. While mice are kind of cute, they poop and pee everywhere they go making them a nuisance. 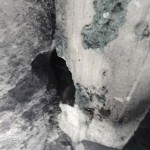 You mentioned Hantavirus, what exactly is that? Hantavirus is a lung disease you may get from breathing in contaminates from mouse poop. If you know you have mice in your home, cottage and workplace, and you are feeling off, seek medical attention immediately. General symptoms are fever, muscle aches, feeling very tired, difficulty in breathing and shortness of breath. Where can I most likely to find mice? Mice become active in the night and will wander around your house while you sleep. It is not uncommon to wake up and find a mouse turd on your pillow, inches away from your face. If food is scarce or the infestation is large, mice can be active during day light hours. Mice nest in locations close to food. Preferring spaces in double walls, between ceilings, floors and closed in areas around counters. Mice can, and have been known to live just about anywhere, such as in your furniture (like a couch). The average lifespan of a mouse is 18 months. Mice are born 19 days after breeding and mature rapidly. A single female can have up to 8 litters per year averaging 5-6 mice per litter. If I have an infestation of mice, what can I do? It is recommended to seek the services of a trained Pest Control professional like Anypest from Hamilton, Toronto, Waterloo and Guelph to eliminate pests for thorough results. We handle both commercial businesses and residential homes for mice removal and control.